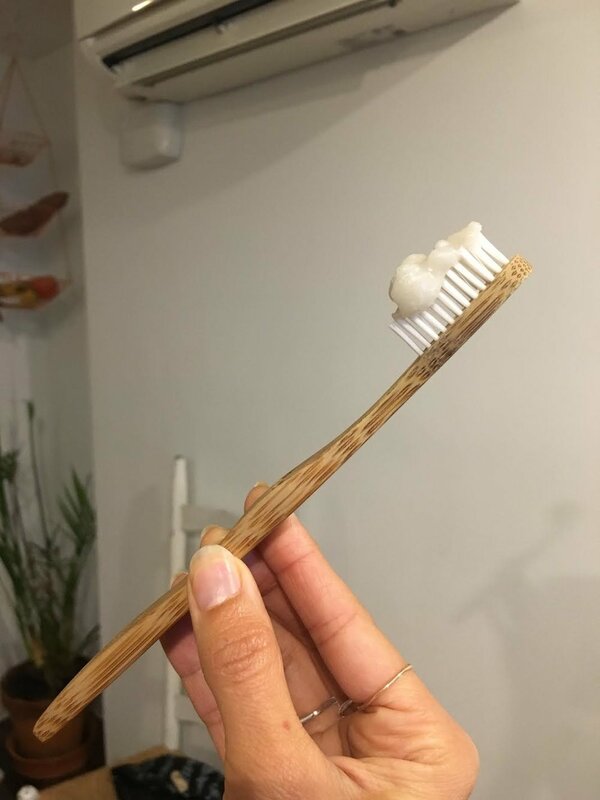 Once you make this toothpaste for the first time and you buy your handy bamboo toothbrush, you will realize how easy it is to make a huge difference everyday in lessening plastic consumption, landfill pile up, and not supporting resource sucking industries! Knowing what ingredients go into your everyday teeth, face and body care also means voting no on deforestation and saving species from habitat destruction. So lets do it! -It's important to never use metal or stainless steel of any kind when using bentonite clay. Bentonite clay has some amazing properties and draws out bacteria as well as remineralizes your teeth. If it touches metal, it loses all its charge and will then be a pointless ingredient in your toothpaste. - Sometimes if it gets cold, your coconut oil may harden in your pipes, clogging the drain. An easy fix is to just pour hot water down it and it will melt it all down! - You are not supposed to ingest these essential oils unless diluted properly so I would advise not to add any to toothpaste intended for children unless you are certain they will not swallow it. Using non-diluted essential oils is completely okay for toothpaste since it will mostly be spit out. -Spearmint/peppermint keeps your breath fresh, cinnamon essential oils is antimicrobial, tea tree is anti fungal, and clove has germicidal properties and obstructs pathogenic bacteria! 2. A wooden spoon or stir stick ( I reused a wooden chopstick). No metal or steel - the bentonite clay will lose its beneficial charge. 3. Add your essential oils to your liking. I do about 10-20 drops. 5. I store at room temperature for easy use!